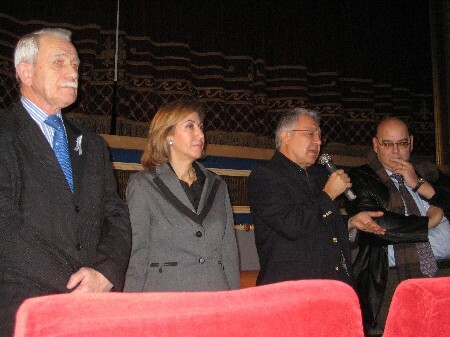 Within the framework of the Council of Europe campaign to combat violence against women, including domestic violence, the Parliamentary Assembly of the Council of Europe (PACE) has organised the screening of the film Bliss (Mutluluk) directed by Abdullah Oguz (Turkey, 2007) (original version in Turkish with French subtitles) on 20 January 2008 at 4pm at the Odyssee Cinema (Strasbourg), followed by a debate with the presence of Zülfü Livaneli, artist and author of the work, Gülsün Bilgehan, Chairperson of the PACE Committee on Equal Opportunities for Women and Men and other members of the Parliamentary Assembly of the Council of Europe. 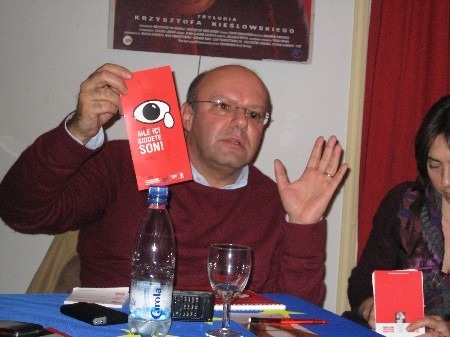 The debate took place in French and Turkish. Entry was free. Mr Branger, Contact Parliamentarian For France (Sénat), Ms Bilgehan, Chairperson for the Commitee on Equal Opportunities of the PACE and Contact Parliamentarian For Turkey, Mr Livaneli (author), Mr Gunaltai (director of the Cinema l'Odyssée), Mr Tüzecan, director Corporate Communications at Hürriyet.